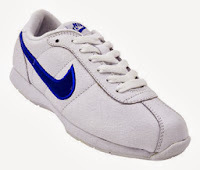 The Nike Stamina cheerleading shoe is an all-time classic. 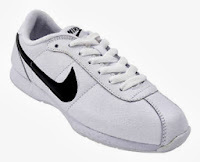 The classic look comes from the large Nike logo swoosh on the side of the shoe and the flat solid rubber outsole design. 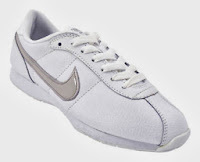 This lightweight entry-level cheer shoe has a combination leather and synthetic upper. The midsole is a EVA wedge with a heel notch and sculpted arch. In addition to the solid rubber outsole, it also contains a low-relief design. The Nike Stamina is available in 4 different colored logos: black, grey, royal blue, and red.